The “Pedagogy for the Third Millennium” Method (PTM), conceived by da Patrizio Paoletti and by a team of professionals specializing in different disciplines, aims at elaborating and selecting ideas and tools in order to encourage the development of human potential. Today, the PTM is a pedagogical system, the incisiveness of which is supported by the results of the psychological research carried out in collaboration with the University of Padua, the neuro-scientific research performed with the Bar Ilan and the La Sapienza Universities in Rome, carried out on the different applications of this method, in particular relating to the in-class training of teachers, educators and parents coming from different social and cultural backgrounds. The Patrizio Paoletti Foundation is a non-profit organization registered with the National Registry of Legal Entities at Rome’s Prefecture of Police and the National Research Registry Office at the Ministry of Education, University and Research. 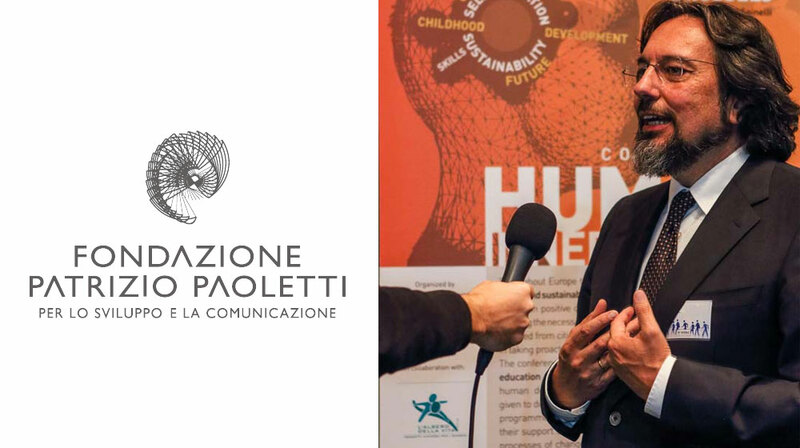 The Paoletti Foundation uses educational and social development projects, school and teaching programs, even in developing countries, awareness-raising campaigns and institutional information as tools to stimulate educational processes which can help improve modern man’s conditions and the society in which he lives. The Foundation has been involved in neuro-scientific and educational psychological research for over ten years and specializes in studying the inner world of adults and children. It creates programs concerning the diffusion of scientific knowledge, master’s degrees, professional training for caregivers, children’s schools, social development projects and assistance in emergency situations. L’Albero della Vita’s educational programs are mainly intended for socially-isolated children and youths and aim at converting disadvantages into an opportunity: by regenerating people’s innate capacity of being proactive with regards to events, i.e. trying to learn something and take a positive input from each situation in order to reach a higher awareness, better inner capacities and to pursue a value-oriented life.